Cloud Browse is a web browser for devices with iOS that offers support for Flash and Java, two of the web standards that aren't supported natively on this type of device. 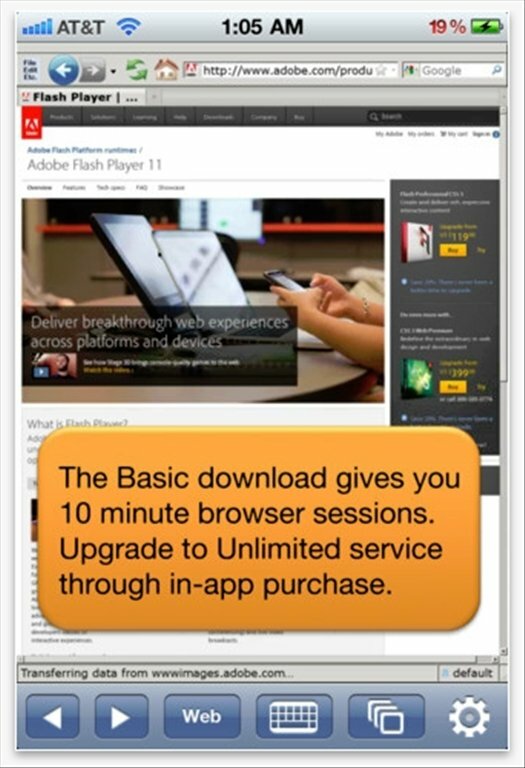 Access and view Flash and Java web contents by means of iPad, iPhone or iPod. Enjoy video files, games and many other contents disabled on iOS. 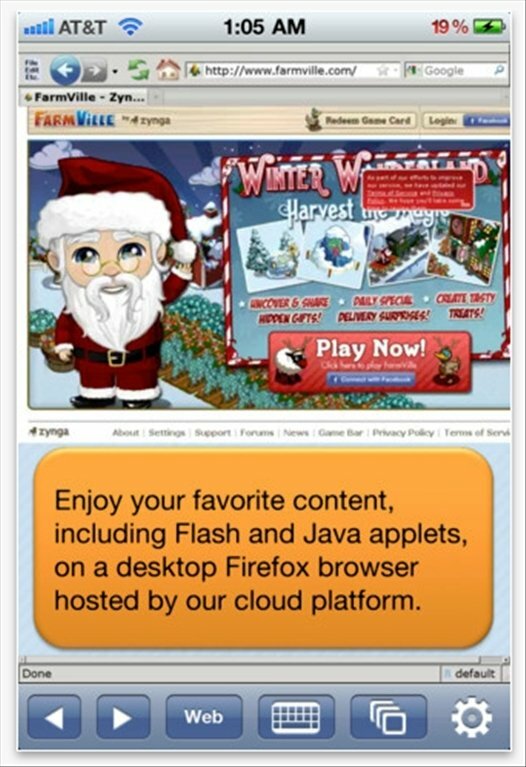 Adapted Firefox version launched from the servers of the developing company. Browser quicker than Safari Mobile. Transfer data encrypted by means of SSL. If you have tried to view contents in these formats from an Apple device, you'll have noticed that there isn't any support for them, they aren't compatible. With Cloud Browse you'll launch an adapted version of Firefox with which you can enjoy all the web, viewing the Java and Flash elements they may contain. The application works as a host for the Firefox browser launched on its creator's servers, and not like an application on the terminal itself. 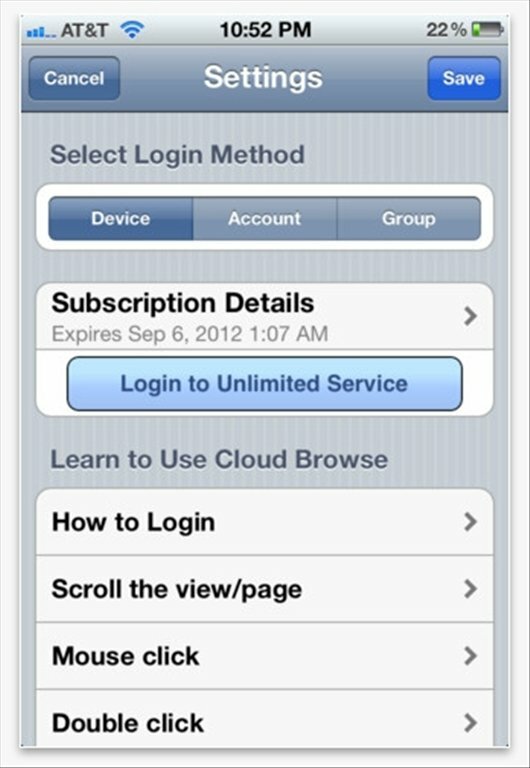 Viewing Java and Flash contents on your iPhone, iPad or iPod is now possible, you only have to download Cloud Browse.